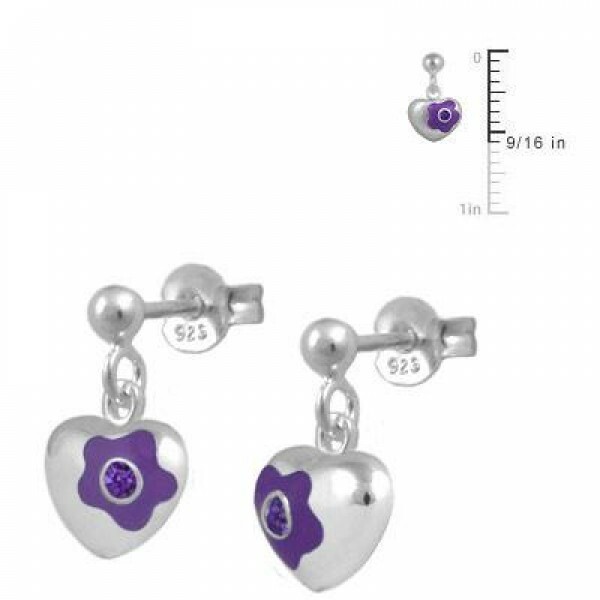 Jewelry for kids and teens - Sterling silver girls earrings. 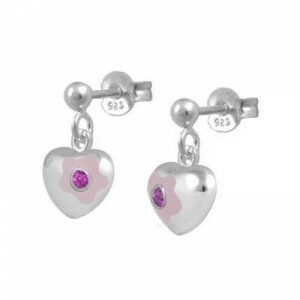 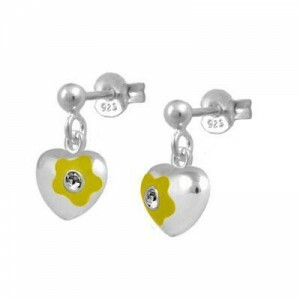 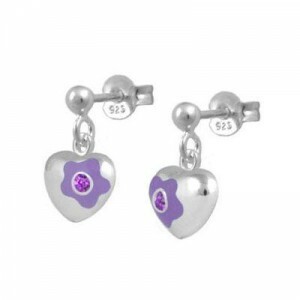 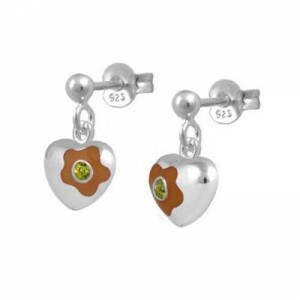 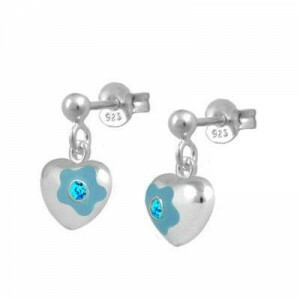 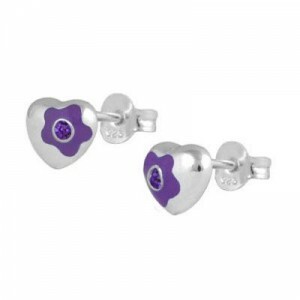 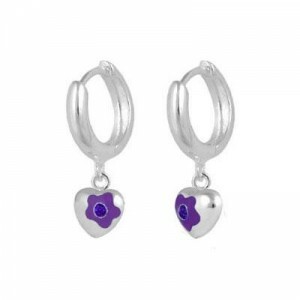 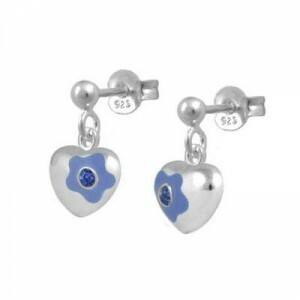 Each one features a dangling flower enamel heart set with a sparkling Swarovski crystal to simulate February birthstone. Push one backs. 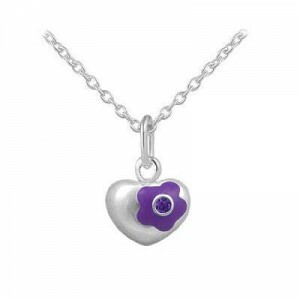 Beautiful gift with packaging for any occasions such as birthday, holidays, baptism, christening, or first communion, etc.